The property is situated on the southern side of the Clonattin Road in the exisitng residential development known as Clonattin Village. 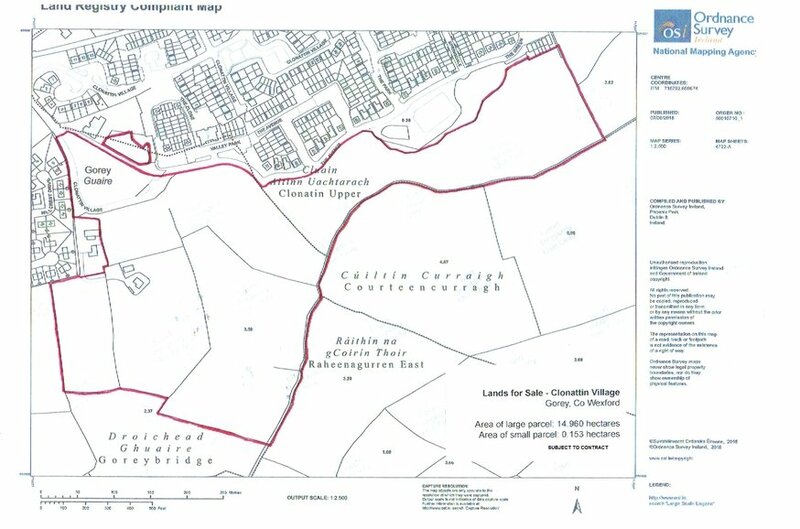 The lands lie between the Clonattin Road and the Courtown Road (R742) to the northeast of the village and on the western side of the M11. 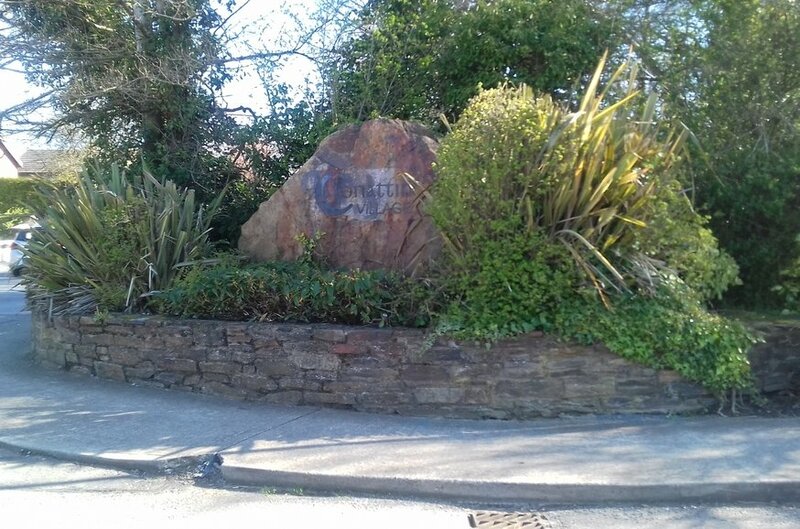 It is accessed directly from the Clonattin Road through the Clonattin Village Estate. It is an irregular-shaped site sloping gently from north to south. 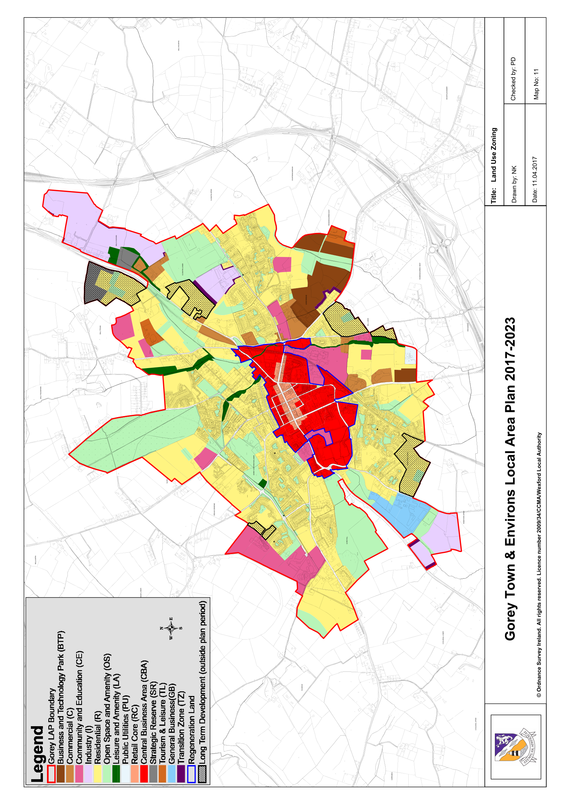 Gorey has a population of 10,366 persons (census of population 2016) and is one of the most progressive and dynamic towns in the greater Dublin area. 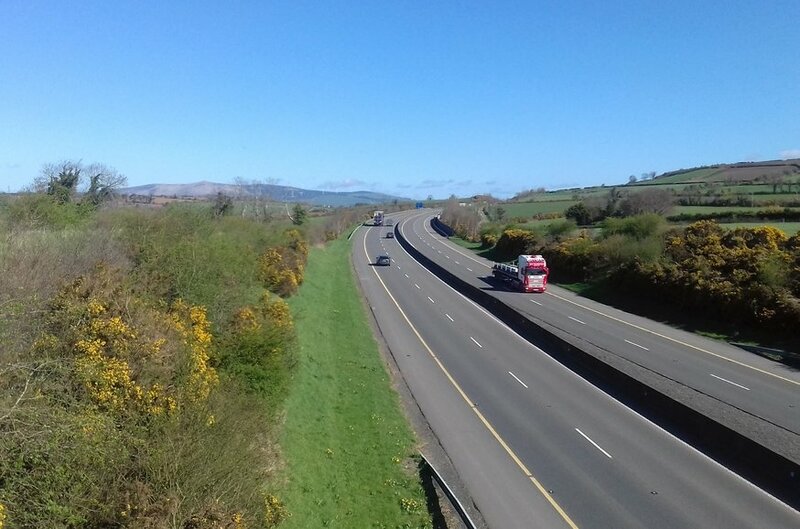 It benefits from ease of access to the M11 motorway at junction 22 and 23, public transportation via mainline rail and excellent bus services to and from Wexford, Rossalare and Dublin City Centre. There is an abundance of national and secondary schools in the area with a wide range of sports clubs including the adjacent Gorey Rugby Club and Naomh Eanna GAA Club. 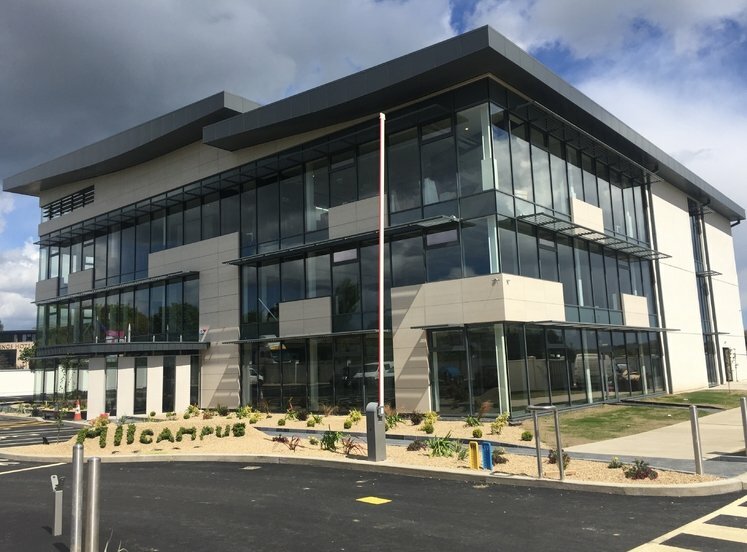 Considerable employment in the area is provided in the IDA Business & Technology Park with the employment centres of Cherrywood, Leopardstown and Sandyford only 30 mins north on the M11. 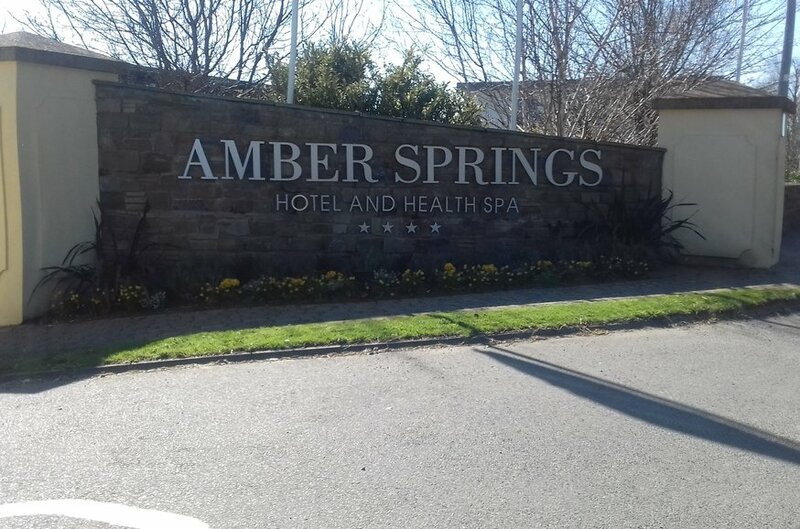 There are an abundance of retail facilities closeby including Gorey Shopping Centre (Anchor store Dunnes Stores), Tesco Shopping Centre, Aldi, Lidl and Gorey Main Street. The property comprises an irregularly shapped site with boundaries that consist of hedgerows and ditches as well as timber fencing. It extends to approx. 15.3 ha (37.8 acres) and gently slopes from North to South. It is presently covered in a combination of overgrowth and some spoil from the original Clonattin Village residential development. The surrounding Clonattin Village is a mix of apartments, terraced semi-detached and detached houses. There is an adjacent playground and astro pitch for communal use. 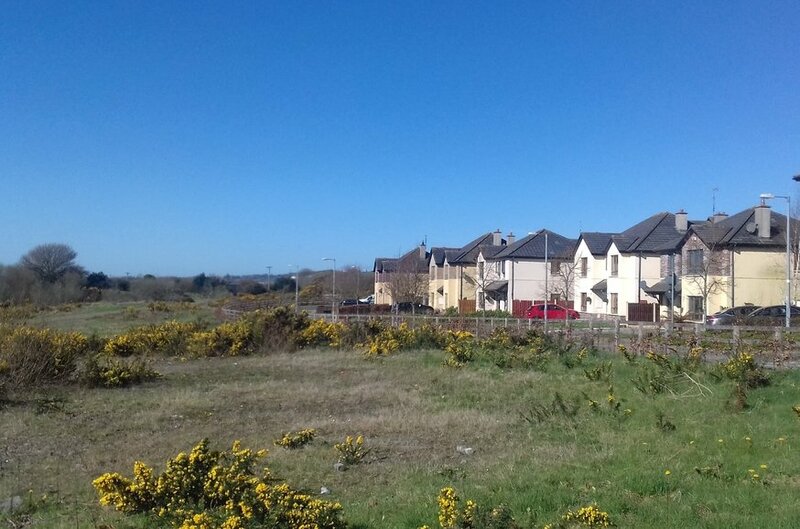 The property is predominately zoned residential with part zoned open space/amenity and part community/education under the Gorey Town Development Plan (2017-2023). There is approx 9.71ha (24 acres) zoned residential, approx. 3.5ha (8.64 acres) zoned open space and approx. 2.1ha (5.18 acres) zoned educational. 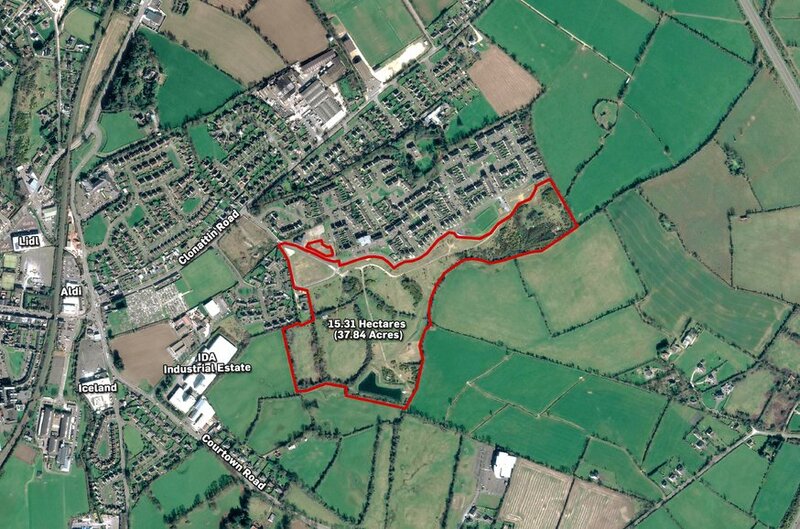 The site had outline planning permission for 206 units whcih has just lapsed (Planning Reference 2013/0002). There was a previous planning permission dating back to 2007 on a smaller portion of the lands for 230 units.